The Queen has honoured two people with links to the West Pier in Brighton. Virginia Barnacle, 52, is one of the organisers of Paddle Round the Pier. She has been awarded a British Empire Medal in the New Year’s Honours List today. And former Brighton and Hove City Council chief executive Glynn Jones, the chairman of the West Pier Trust, has been made an OBE for services to the community. The man in charge of Sussex Police, Chief Constable Giles York, was also given royal recognition in the honours list. 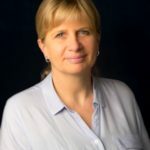 Virginia Barnacle – also known as Virginia Goodwill – works as an industrial placements officer at Brighton University’s Business School. She was recognised for her work with Brighton Sailing Club and Brighton Surf Life Saving Club and for services to the community. Mrs Barnacle, from Hove, has held various senior roles in the sailing club since 1995. She was the first woman to serve as the club’s commodore and has also been vice commodore and rear commodore. In 2005 she became the founding committee member and trustee of the Brighton Surf Life Saving Club. It was set up to benefit the community with a voluntary service to teach surf life saving skills and water safety awareness. In 2012 she set up Nippers to give children the chance to train as surf life savers. And since 2007 she has helped out in various voluntary leadership roles in the Paddle Round the Pier Beach Festival. As second in command she helps to organise the event which attracted 55,000 visitors and raised more than £200,000 for various charities last year. She now gives up one day a week for six months of the year to work full time on this charity. And she has also helped to produce a disability access beach at the event, allowing children who have never been on a beach protected access to both beach and sea. When her best friend died, she housed her friend’s three children until they found a permanent home. West Pier Trust stalwart Glynn Jones, from Clayton, was appointed an OBE for services to the community in Sussex. 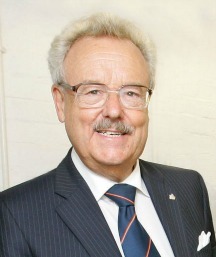 As well as being a former chief executive of the council, he served as the chairman of Brighton and Sussex University Hospitals NHS Trust, among a number of other community roles. The Chief Constable of Sussex Giles York has been awarded the Queen’s Police Medal (QPM) for distinguished service. Mr York, 47, said: “It is an absolute privilege and honour to give so much to policing and to have it recognised in this way. 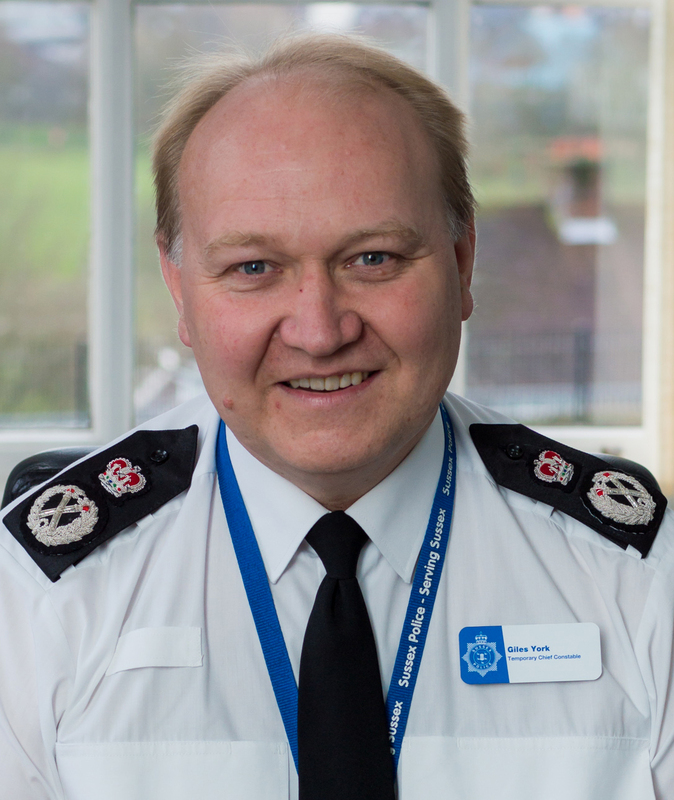 “Over the years I have enjoyed working with a huge number of amazing colleagues and partners who give so much to Sussex. Mr York started his police career more than 24 years ago in Kent before being appointed as an assistant chief constable with South Wales Police. He has served Sussex for six and a half years since he became deputy chief constable in 2008. He became chief constable six months ago. 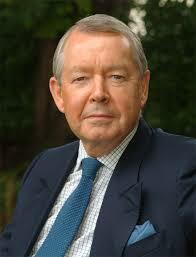 Philanthropist Michael Chowen has been made a CBE for charitable services. Mr Chowen, who set up the former booksellers Sussex Stationers with his brother Jonathan, has given money to a number of educational establishments in the local area including Brighton University. The university described him as “a strong advocate of philanthropy as a force for good and … an active member of the university’s ambassador scheme”. It said: “Michael studied civil engineering at Birmingham University. After initially working for Gross Cash Registers Ltd in Hollingbury, he and his brother, Jonathan, set up Sussex Stationers in 1971. “At its peak the chain employed 1,000 people across 50 stores throughout Sussex. They sold the business in 2004. “Michael has donated £150,000 towards our project to neutralise greenhouse gas. Professor Toru Maekawa, from Toyo University, Japan, and Dr Ray Whitby, from the School of Pharmacy and Biomolecular Sciences, developed a system of breaking apart pressurised CO2. “At its critical point, firing a laser at the gas separates the CO2 into its harmless components of oxygen and carbon. “The other project Michael supports is the Global Educational Outreach for Science, Engineering and Technology project or Geoset. “Michael discovered this important activity at a lecture delivered by Nobel Prize-winning chemist, Sir Harry Kroto, at the Moulsecoomb campus. 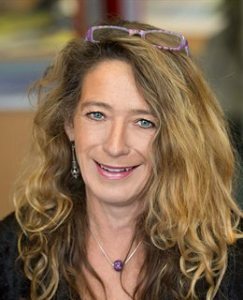 Civil servant Jennifer Clare Preece, from Brighton, who works at the Department for Education, has been made an OBE for services to children.